class="home page-template page-template-page-sections page-template-page-sections-php page page-id-540 samba_theme wpb-js-composer js-comp-ver-4.1 vc_responsive"
Delivering the very best carpets and flooring for your office environment. Choose your perfect colour, design and texture to bring your rooms to life. You are guaranteed to receive excellent customer service with Quality Carpets and Flooring products and, of course, first class workmanship. 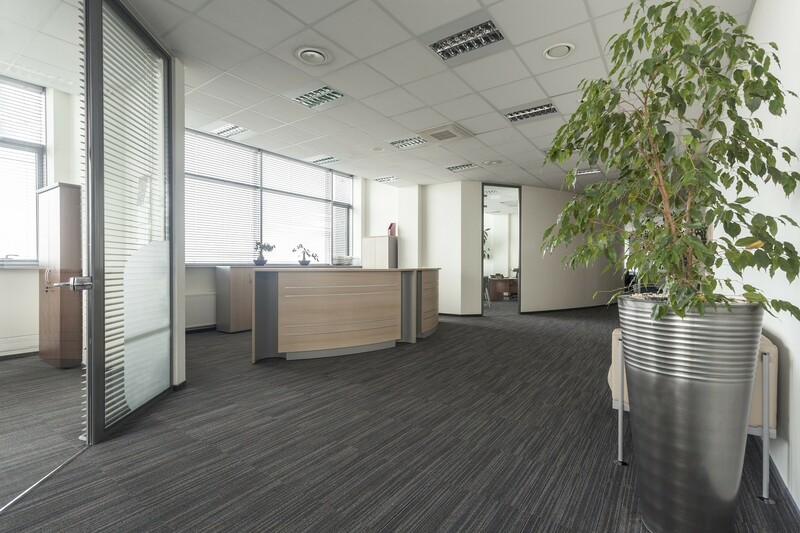 Our range of commercial carpets makes your office ready for business. All Quality Carpets and Flooring customers are invited to provide their honest feedback. Quality Carpets and Flooring are Bournemouth’s premier flooring specialists who cater for both commercial and residential customers from our showroom at 1121 Christchurch Road, Bournemouth. With over 40 years’ experience, all of our floors are laid to the highest standards, by our own trusted and experienced fitters. Our free carpet and vinyl flooring estimates are highly competitive with no obligation. Plus unlike many of our rivals, we offer free delivery of the carpet to your home, or office. Our comprehensive fitting service can also include moving your furniture as well as taking up and disposal of your old flooring. QCF are well recognised on Checkatrade.com with a 100% satisfaction score. 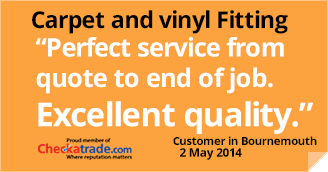 This gives you the peace of mind that your new carpet, or vinyl flooring will be fitted to the highest standards. Our experienced team of fitters travel across the south, but most of our work is in Poole, Bournemouth, Christchurch and surrounding areas in Dorset. Why not arrange for a free measuring and estimation visit? Quality Carpets and Flooring are Bournemouth’s premier flooring specialists who cater for both commercial and residential customers from our showroom at 1121 Christchurch Road, Bournemouth. We offer a home selection service where we bring carpet samples to you in the comfort of your own home. Alternatively, you may wish to visit our showroom to browse through our extensive range of carpets and flooring.